How can I tell if I have hard water? Water hardness is demonstrated by scale in water heaters or on plumbing fixtures, by soap deposits on dishes and fabrics, and by soap scum in sinks and bathtubs. What makes my water hard? As water passes through the atmosphere in the form of rain, snow, sleet, hail, dew, or fog, it picks up impurities and gases. And, because water is the universal solvent, it picks up even more impurities as it travels through the earth as ground water. What ever the water comes in contact with it will dissolve a part of it. Water ‘hardness’ is caused by the minerals calcium and magnesium in ground and surface water. 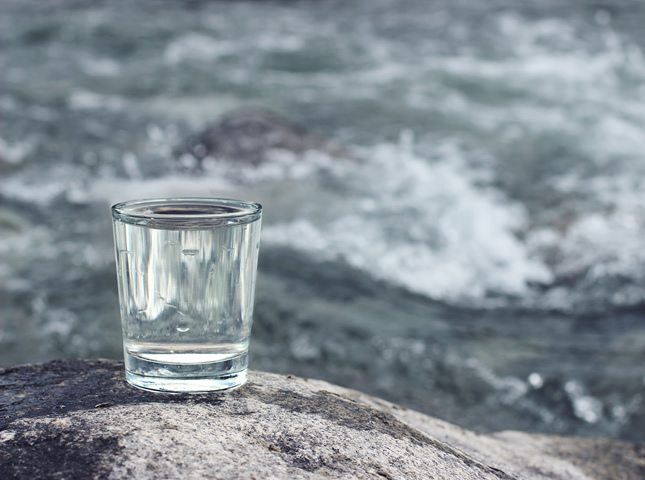 If either or both minerals are present in your drinking water in high concentrations, the water is considered ‘hard.’ These minerals come from sedimentary rock such as limestone that dissolves into our water. The result of hard water is difficulty making lather or suds for washing and a build-up of minerals on taps and on other fixtures. Water containing low concentrations of calcium or magnesium is called ‘soft’ water. A water softener replaces the ‘hardness’ minerals with sodium or potassium. The amounts of these elements added to the water are relatively insignificant in comparison to what is ingested from your food and should not pose a health problem. Most often, water softeners are regenerated with salt and water. 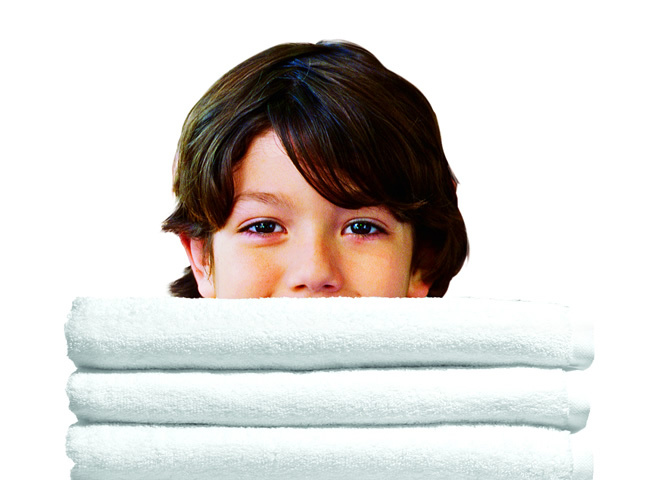 Regeneration is a process by which the softening materials inside the softener can be used over and over again. Once the regeneration is completed, the salt and water solution is flushed into the drain. Should I be concerned about sodium in water? If sodium is a concern to you, your water quality improvement professional can explain the amount of sodium in softened water. This varies, depending on the hardness of the water supply. Any person on a sodium-restricted diet should follow the advice of his physician. All municipal water supplies contain some naturally occurring sodium. If the sodium-restricted diet is very strict, discuss the use of RO, or some other water quality improvement system to reduce the sodium to meet your requirements. For the sake of comparison, one slice of white bread contains about 114 mg of sodium, and an eight ounce glass of milk contains 120 mg of sodium. If your water contains 10 grain per gallon (GPG), and if you consumed a total of one quart of softened water a day, your intake of additional sodium would be 75 mg – less than either a slice of bread or a glass of milk. Why do my sinks and fixtures turn yellow? One of the most common water treatment problems found in well water is iron. Iron can be found in 3 different forms. Ferrous iron (dissolved) – Although not visible it is the most common type of iron. Later when oxygen is mixed with ferrous iron it stains sinks, toilets and laundry especially when bleach is added. To reduce levels of ferrous iron, softening and or filtration is performed. Ferric Iron (suspended) – Ferric iron or brown water iron is oxidized and forms particles. Normally these particles can be seen once settled down, the particles can be seen in a glass of water. Sometimes these particles are to small to be seen and very difficult to remove. Iron bacteria – Iron bacteria is a general term given to iron that can leave a slimy growth or build up in toilet tanks and sometimes clogs filters, softeners and pipes. These bacteria are not harmful, but are considered a nuisance bacteria because of their difficulty in removing. Why is my dishwasher stained brown? Brown or black stains found in the dishwasher are usually from high levels of manganese. Manganese that is dissolved in water can stain when the level is above .05mg/l. The dishwasher is a perfect mechanism to oxidize it because it heats it, agitates it and mixes the water with air. Manganese can also stain clothes in the washing machine, due to the same reasons. If bleach is added staining is worse. Why does my water leave blue green stains? This indicates that the water is corrosive and usually acidic. Acidic water can leach metals from pumps, piping and fixtures. If left alone without treatment it can cause leaks in copper pipes and fixtures. Acidity is measured on a scale of 0-14 with 7 being neutral, less than 7 is acidic and above 7 is basic. Hydrogen sulfide gas is a naturally occurring contaminant, which gives water a disagreeable rotten egg odor or taste. This usually indicates the presence of some form of non-harmful mineral reducing bacteria in the well. Testing is very difficult because it is a gas and it comes out of solution very quickly. There are no known health effects; however hydrogen sulfide can also make the water somewhat corrosive. Nitrate is a naturally occurring compound that is formed in the soil when nitrogen and oxygen combine. Small amounts of nitrate are normal, but excess amounts can pollute supplies of groundwater. Common sources of nitrogen in the soil are fertilizers, livestock waste, and septic systems. Excess nitrate in the soil is most often found in rural and agricultural areas. How does nitrate get into my well water? Nitrate travels easily through the soil, carried by rain or irrigation water into groundwater supplies. Wells that tap groundwater may be affected. Shallow wells, wells in sandy soil, or wells that are improperly constructed or maintained are more likely to have nitrate contamination. What are the health effects of consuming nitrate? For most people, consuming small amounts of nitrate is not harmful. Nitrate can cause health problems for infants, especially those six months of age and younger. Nitrate interferes with their blood’s ability to transport oxygen. This causes an oxygen deficiency, which results in a dangerous condition called methemoglobinemia, or “blue baby syndrome.” The most common symptom of nitrate poisoning is bluish skin coloring, especially around the eyes and mouth. Infants six months of age and younger and pregnant and nursing women should avoid consumption of water high in nitrate. Cattle, horses, sheep, and baby pigs, are also susceptible to nitrate poisoning. My water doesn't taste good, yet it tested out O.K. What does this mean? There are two types of water problems: Primary problems — the dangerous sort of problem and Aesthetic problems — things that affect the taste, look or smell of the water. Strange as it may seem, you could have an aesthetic problem (such as iron or manganese) that will not pose an actual health risk. Why does my drinking water sometimes look cloudy? Once in a while you get a glass of water, and it looks cloudy; maybe milky is a better term. After a few seconds it miraculously clears up! The cloudiness is due to tiny air bubbles in the water. Like any bubbles, the air rises to the top of the water and goes into the air, clearing up the water. The water in the pipes coming into your house might be under a bit of pressure, and gases (the air), which are dissolved in the pressurized water, will come out as the water flows into your glass, where is under normal atmospheric pressure. What is a part per million (ppm) or a part per billion (ppb)? One-Part-Per-Million can be thought of as one inch in 16 miles or one cent in $10,000. One-Part-Per-Billion can be thought of as one second of time in 32 years. It is EXTREMELY MISLEADING to interpret these analogies to minimize the magnitude of the risks. Even miniscule amounts of certain contaminants can poison water. Why do I feel slippery when bathing in soft water? The “slickness” felt after a soft water shower is just the “real” you! Hard water does not easily rinse off the residue from cleaning products. When bathing in softened water, the use of less soap is desirable. Use sufficient water to rinse the skin thoroughly and your skin will feel softer and much smoother than it did with hard water bathing. Any type of clean salt can be used. Futuramic’s Clean Water Center recommends the use of solar salt. This type of salt seems to be the cleanest and will cause the least problems in the brine tank. Can I use potassium type salts? Yes, any water softener will work with potassium chloride salts, however some loss of capacity between regenerations can occur. Please consult with your dealer. If your reasoning for using “potassium salt” is for health concerns remember that potassium chloride is also a salt. Consult with your doctor whenever there is a health concern about your water. Are water softeners harmful to my septic system? No, for functioning and properly sized septic systems, water softeners pose no adverse effects, and may be beneficial. Several studies have been made to determine the exact nature of water softener recharge waste effluents and their effects on private sewage disposal systems. These studies evaluated three major areas, all dealing with the effect of effluents developed during the recharge of household water softeners. First, it was important to study the effect of dissolved salts in softener recharge effluents on biological action in septic tank systems. These studies demonstrated that recharge effluent from water softeners had no deleterious effect on the biological action in a septic tank and that the recharge waste effluents may actually stimulate biological action. Second, it was felt important to assess the hydraulic effect of the volume of water softener waste water. These studies demonstrated that the volume of recharge effluent from a water softener is less than that of present day automatic clothes washers. The amount of waste effluent developed by a typical household water softener during recharge is about 50 gallons containing calcium, magnesium, and sodium chlorides. The frequency of recharge is dependent on water hardness, water usage, and recharge salt dosage. The last area of study concerned the effect of softener recharge effluents on soil percolation in septic system drain fields. This portion of the study is important since much of the literature on irrigation contains references to the adverse effects of high sodium water on soil structure and permeability, particularly in clay-type soils. The study concluded that there was an important difference between water softener effluents and sodium effluents, which has an important bearing on soil percolation and permeability. The important difference is that water softener effluents contain significant amounts of calcium and magnesium and thus are not really sodium effluents alone. Calcium and magnesium counteract the effect of sodium and help maintain and sustain soil permeability, even in susceptible clay-type soils. Thus, it appears that water softener recharge effluent brine will not affect biological digestion, hydraulic load, or leach field permeability in a septic tank system. However, if the leach field is composed of swelling clays, permeability will be reduced regardless of the presence of water softener effluent. Moreover, calcium and magnesium contained in recharge effluents actually increased soil permeability. Salts in the waste effluent from recharge of water softeners created no hydraulic conductivity or percolation problems in a properly designed septic tank seepage field. In fact, it was found that soil percolation was increased by water softener recharge effluents, as compared to soil receiving household sewage effluents without the addition of effluents from the recharge of water softeners. In other words, lower hydraulic conductivity (HC) might result if regeneration or recharge wastes from water softeners were not allowed to enter the septic tank seepage field. In this case, the beneficial effects of calcium and magnesium would be lost. This would occur if the regeneration wastes were not discharged to the septic system, but to a dry well, roadside ditch, or other point. One study was conducted by soil scientists at the University of Wisconsin and dealt solely with anaerobic septic tank systems. The other study, conducted by the National Sanitation Foundation, dealt solely with aerobic tank systems. Conclusions reached in this study were as follows: Water softener regeneration wastes demonstrated no adverse effects on home aerobic waste water treatment plant performance, even when stressed by loading at a use rate simulating ten persons (twice the average use rate). There was no difference in performance between days in which the plant received regeneration wastes and days in which it did not. Need answers? Click on the questions to the left! 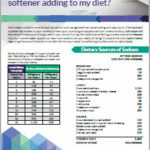 Want to know more about how much sodium a softener adding to your diet? Click on the image below! Over the years we have seen many alternative water treatment systems come and go. Some can offer limited benefits if used correctly in specific applications, while others simply don’t live up to the claims of the seller or don’t work at all. Most of these products are not cutting edge technologies but repackaged ideas that have resurfaced over and over during our 40 years of doing business. Before purchasing alternative water treatment products do your research! Look for vague or deceptive wording and claims, check the scientific claims made by the seller with an independent site that doesn’t stand to gain financially. As a rule, if we find inconsistencies, misleading or false claims when researching a company or product we don’t use or offer that product. One of the websites we have found extremely useful is chem1.com. This site does a great job of explaining the science of water and water treatment. The author of the site is a retired faculty member of the Dept. of Chemistry at Simon Fraser University, who dislikes the use of chemistry to confuse, mislead or defraud the public. Do any of these devices work? We are constantly searching for new ways to treat your water. There is a “Salt Free” scale reduction system that is based on solid science. We have used it in specific applications. If you have questions about this type of water treatment please give us a call to discuss if it’s right for you. Rest assured that any product we sell will be backed by proven science and applied correctly for your needs. If you have questions regarding any alternative water treatment system please feel free to contact us.